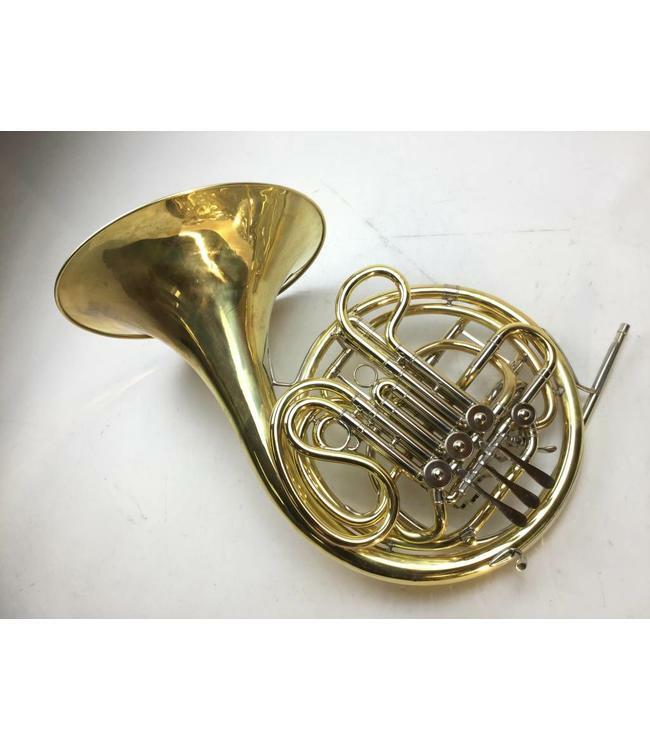 Used Conn 28D in un-lacquered yellow brass with case. 12-3/8" bell flair with 4 rotor valves of .468" bore. Great playing horn has been previously overhauled/de-dented but not sanded and buffed thin. This is the vintage horn you are looking for.